​God will judge us upon how we treated the most needy. The IHM Center for Literacy is an educational outreach of the Sisters, Servants of the Immaculate Heart of Mary. The Center is committed to facilitating the incorporation of immigrants into American society through the teaching of English language skills, computer skills, workforce skills and citizenship skills. This ministry certainly responds to an increasing present need of the Church! 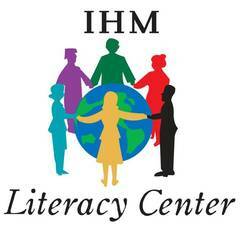 ​The IHM Center for Literacy supports a rich diversity of cultures, ​languages and educational backgrounds. Please visit the St Francis de Sales Page for additional research completed on that site. The Mission of the IHM Center for Literacy is to teach English language skills to the multi-ethnic, non-English speaking adult immigrant populations in Northeast and Southwest Philadelphia and thus enable them to integrate more comfortably and confidently into American life and work. University of Pennsylvania Graduate School of Education - TESOL Dept. We are so very grateful to the students at VILLANOVA UNIVERSITY who participate in their annual Service Day Project every September! These young men and women generously come to help "spruce up" the Center on Farragut Street and have it looking great for when our students arrive! Enjoy some pictures of them at work...and their end results!